Queen Victoria's Journals is the product of a unique partnership between ProQuest, the Royal Archives and the Bodleian Libraries. It reproduces as high-resolution, colour images every page of the surviving volumes of Queen Victoria's journals, from her first diary entry in 1832 to shortly before her death in 1901, along with separate photographs of the many illustrations and inserts within the pages. Launched on 24th May 2012, the anniversary of her birth, most of Victoria's life - from childhood, through accession, marriage, bereavement and the long years of widowhood - is contained within these pages and through her eyes we also see the changing face of the nineteenth century. 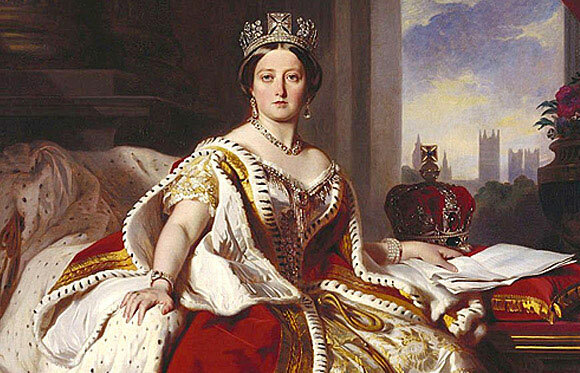 Thirteen volumes in Victoria's own hand survive, with the majority of the remaining volumes transcribed after Queen Victoria's death by her youngest daughter, Princess Beatrice. In addition, this collection contains typewritten transcripts, prepared shortly after her death, of some of the journals' earlier years, along with rare draft volumes also in Victoria's hand. Each page has also been meticulously transcribed and re-keyed, allowing for journals to be searched. Further information may be found in the 'About' area of the site.